Danger’s Story – Loving Danger! I started this blog as a way to put into words what has been happening in our lives since the day it was turned upside down. Also, sometimes when your life is turned upside down, there is a way you can try to turn it around and even, embrace it?! It takes time, it’s a process and I could never have done this 12 months ago – things were still raw, some things still are and most likely always will be, but as my Grandad used to say ‘nothing ever stays the same’. In the Spring of September 2011, I went into labour with my twins at 32 weeks – Twin 1 – aka Michael Danger and Twin 2 – aka Jazzie were born. In hospital for 3 months, we were then able to take our babies home to make our family of 3 to 5! Jazzie was sickly, I mean, really sickly. In and out of hospital every 4 to 6 weeks with breathing problems, failure to thrive etc. Tested for everything under the sun, then at 19 months old, it was discovered she had 2 holes in her heart. Open heart surgery was booked in for a month later, and we haven’t really looked back since. The Pocket Rocket had arrived! While all this was going on, Danger was developing very well, reaching typical milestones along the 7, 8 and 9 months mark, then at 10 months old – it happened. I discovered him in his bed and I had every parent’s worst nightmare… I approached his cot, my heart pounding and I thought for a split second, he had not survived the night. As I moved closer, I could see he was breathing, head and eyes rolled back, blood over his sheets. His perfect little body perspiring and convulsing. We did what we had to do over those next few weeks. In hospital, they gave Danger the medications to stop the seizures, but they kept re-occurring. There was a code blue called (which Bryce was so traumatised about he never told me until many months later). Again, we thought we had lost him, but he was a fighter. He was born fighting. Once they found the right fit of anti-seizure meds, we were in hospital for 2 weeks, with our little boy who was paralyzed down the right side of his body (the introduction to our education of hemiplegia cerebral palsy had begun as with epilepsy). He lost his ability to speak and other functions. He underwent many tests – EEGs, MRI’s. We waited 12 months until we got a diagnosis (DX) – we were one of the lucky families – some people go years, even a lifetime, without ever receiving a DX. It was August 2013 when we received the confirmation that Mikey’s diagnosis was classic HHE Syndrome. Great we thought – we had a name, but now what? Google, online medical journals and late nights became our friend…. Bryce and I found what we could on the internet but… it wasn’t much. That’s the thing with rare diseases, there well, rare. I started a small Facebook page to update family and friends but closed that down during a family crisis, that lasted a few years – more of that later. I couldn’t have done it without the support of my husband Bryce, we have different ways of coping – I tend to scream from the mountain tops and he tends to dig a hole at the bottom of the mountain 😉 He is my partner in crime through all of this. Whatever has brought you to this page, thank you for reading up to this point! 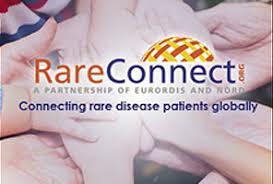 If you are in this situation yourself, or know someone who may be – just know you aren’t alone – check out the links to RVA and Rare Connect, if you can’t find what you’re looking for – create it – you will be supported along the way by this incredible community of fighters and their families. Mikey is surrounded by a loving family. He is our fighter. Im so glad to have met you all. We are in it together. Im going to become a member of this.